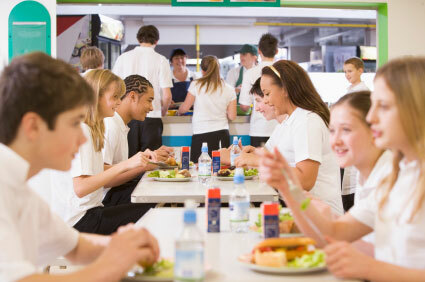 Gluten-Free Schools | JCB Consulting Services, Inc. Numerous studies have proven that kids with dietary restrictions feel stigmatized and anxious in social situations when food is the focal point. It is important for children to adhere to their medically recommended diet while comfortably eating with their friends at school facilities and events. JCB can give you the necessary tools to eliminate these stressors for this population. Our proactive approach in the academic venue can provide the gluten-free answers for your students. We have listened to your needs and can help your school achieve the goal of a gluten-free, worry-free program. Performing a rigorous assessment of your current dietary and nutritional practices. Designing policies and procedures so you can easily service your gluten-free students. Implementing this protocol which includes safety guidelines that alleviate cross contamination so a gluten-free environment is maintained. Developing delicious gluten-free menus and recipes that are nutritious and flavorful by consulting with our Culinary Institute of America trained chef and Registered Dietitian. Training in clear, concise terms for easy understanding and practical approaches for maintaining cross contamination free preparation and serving guidelines. Educating the staff, faculty, students and parents on the subjects of Celiac Disease and gluten intolerance by our Registered Nurse team member to help them understand the importance of this program. Assisting your facility in becoming a role model for best practices for other academic institutions while preparing for agency certification as a gluten-free venue. The Golden Apple Rule™ is our innovative initiative that gives members of your school community the skill set to interact with their fellow students who have a food allergy or dietary intolerance. Given that one in 13 children have a food allergy or approximately two children in every classroom in the United States have a food allergy, these children suffer on a daily basis for feeling "different" and not included. The Golden Apple Rule™ is the solution to assisting these children and the school community in providing an environment that is "Inclusive, not Exclusive™." Like that other golden rule, The Golden Apple Rule™ lets parents and members of the school community lead by example. The Golden Apple Rule™ is a fun and easy comprehensive program based on the carefully constructed Apple™ pneumonic. The Golden Apple Rule™ was crafted with the support of educators to ensure a child understands this life threatening condition. The Golden Apple Rule™ is specifically designed to augment the anti-bullying policies implemented in your school. The Golden Apple Rule's™ author, Joan Schmidt, RN, MBA was recognized by her local Assemblyman as a "Woman of Distinction" for developing this program.